LEGO Space Fan and flickr.com member justin_m_winn has shared his awesome creation about all the LEGO Space series. 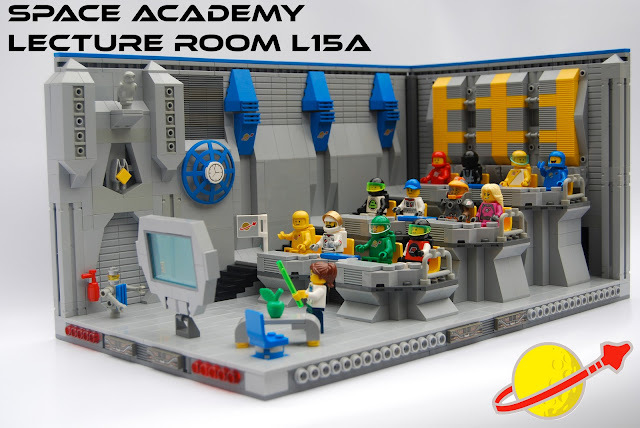 Space Academy - Lecture Room L15a inclues different space factions like M-Tron, Blacktron and also Benny on a Space Class. It is not a complicated MOC but it looks perfect with color scheme.